Alfred Hitch-blog – A study and appreciation of the films and legacy of Alfred Hitchcock (with occasional detours to other classic films). 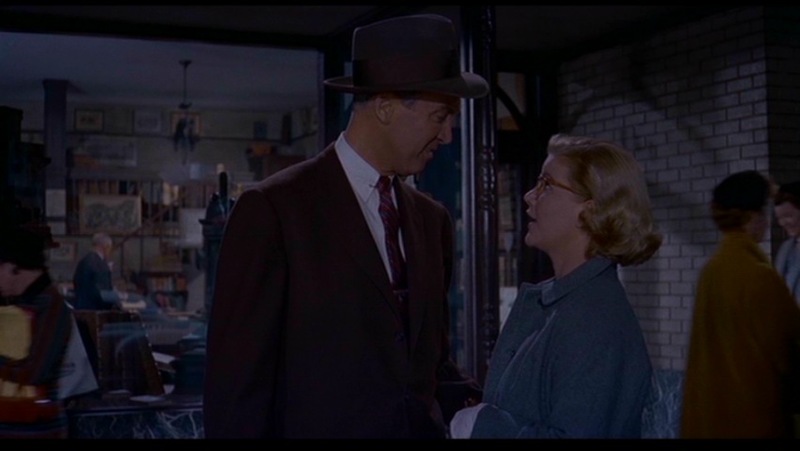 Vertigo is one of the most discussed and dissected Hitchcock films of all. Plot elements, technical elements, psychological undertones; this movie has everything. 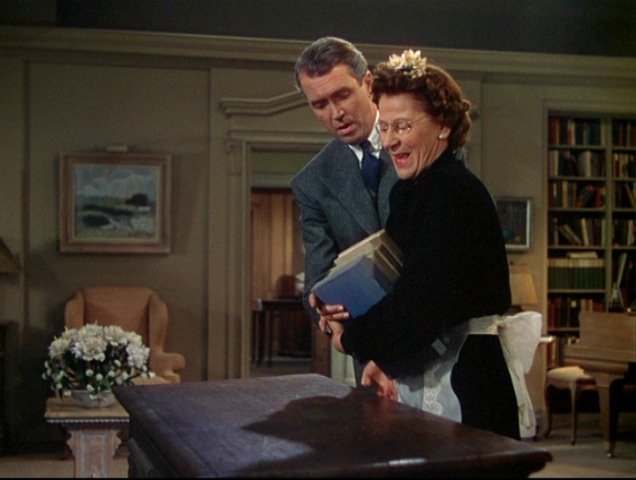 I could choose to deconstruct almost any scene in the film. There are also many unanswered questions. Such as: Just how did Scotty get out of his rooftop predicament at the beginning? How did Judy (playing Madeleine) get into her room in the McKittrick Hotel unseen? Was the old lady paid off to lie? 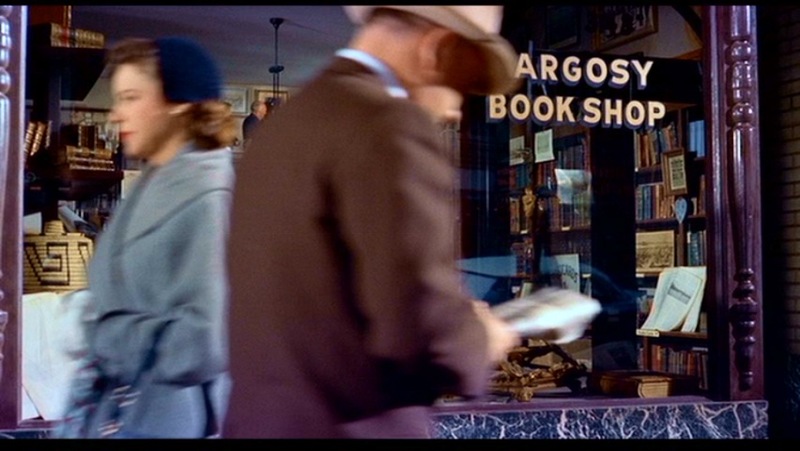 And just what is going on with the lighting in the Argosy Book Shop? I chose to look at the Argosy scene; I think it is interesting for a couple of reasons, and I hope we can dispel at least one of the often mentioned myths about it. 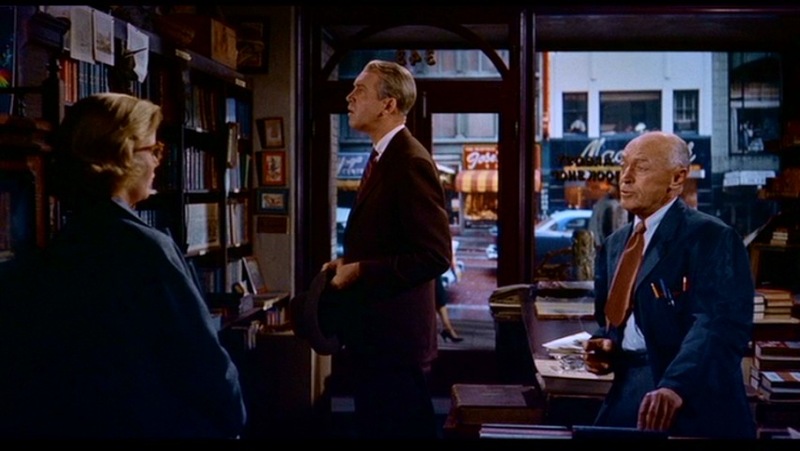 Near the end of this scene, the interior of the bookstore becomes increasingly dark. At the end when Scotty and Midge step outside, it suddenly becomes bright again. Some have questioned whether this effect was deliberate. There is also much debate about the source of the sudden light at the end. Let’s take a look. 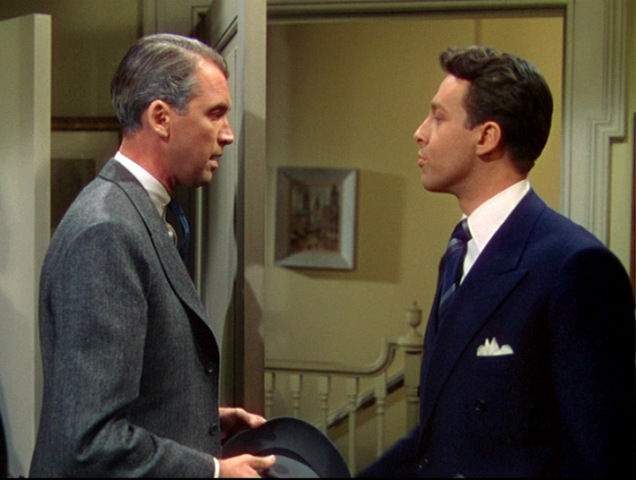 To set the scene: Scotty Ferguson (Jimmy Stewart) is beginning to get reeled in to Gavin Elster’s plot. 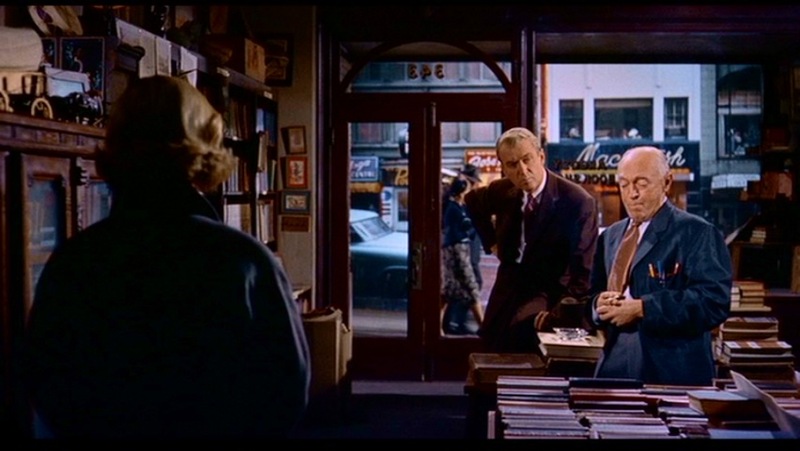 Scotty asks his friend Midge (Barbara Bel Geddes) if she knows anyone who is up on the sordid history of San Francisco, and she recommends Pop Leibel (Konstantin Shayne), owner of the Argosy Book Store. 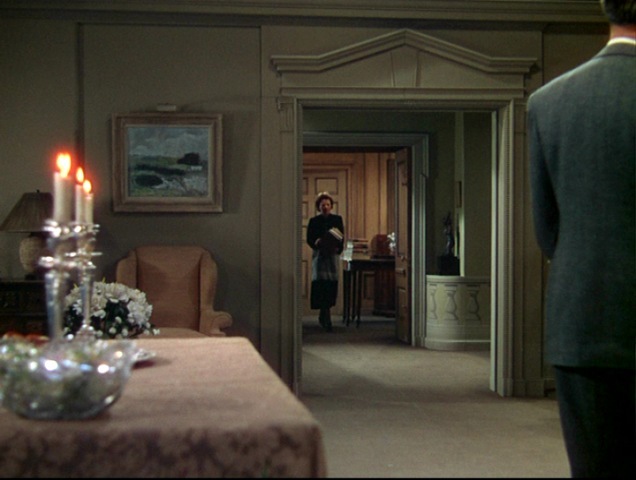 Hitchcock shot this scene with an economy of cutting, using staging, camera movement, and lighting to control the emotion. There are only eight editorial cuts in the span of just over three minutes, which means an average shot length of 22.5 seconds. 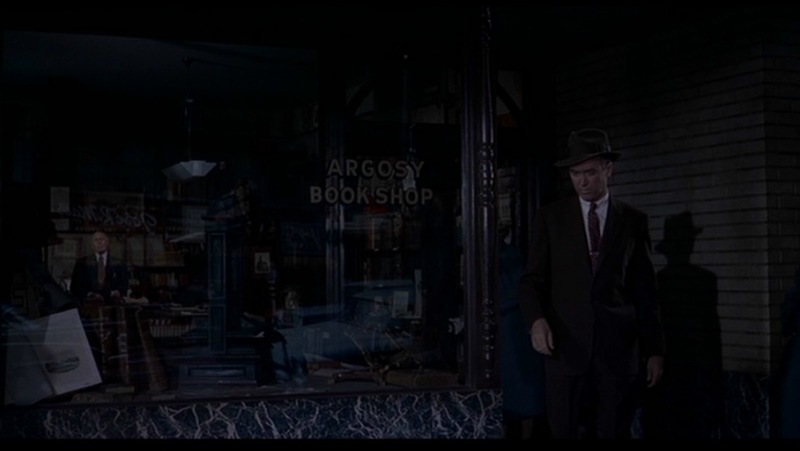 The scene begins on a dissolve of the front of the book store, which is identified on the window. The interior is clearly visible (you can see Pop Liebel’s head and torso on the upper level of the bookstore). This shot lasts about 4 seconds. 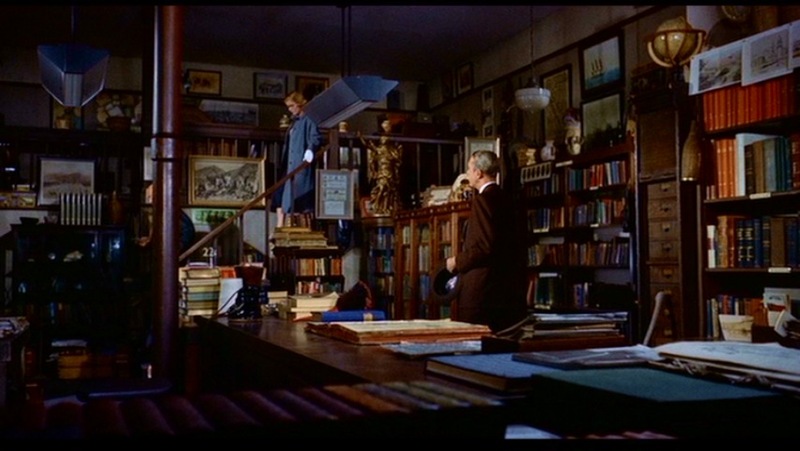 Hitchcock next cuts to the bookshop interior. 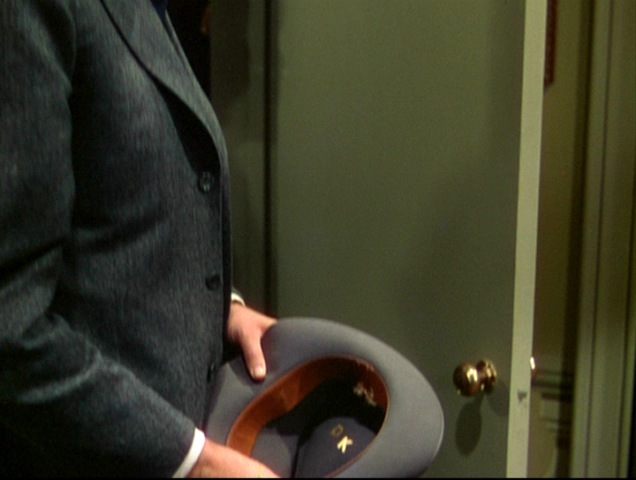 The camera is just inside the door, showing all three characters in a long shot. 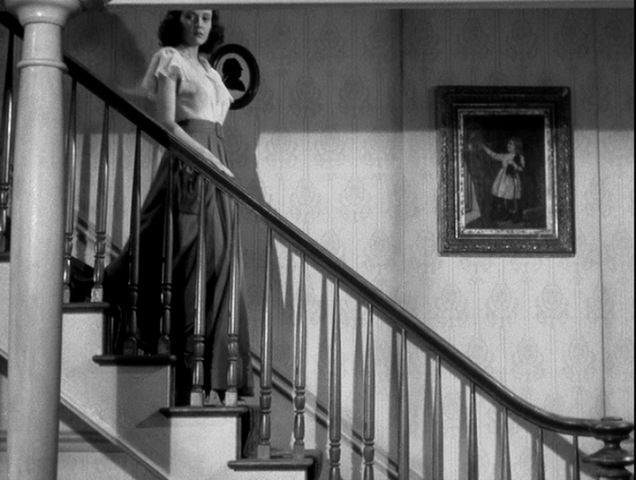 We watch Pop Liebel and Midge walk down the stairs. Pop offers cigarettes to the other two. This lasts about 37 seconds. I would like to point out the three visible light sources in the room. Two long lamps, probably with fluorescent bulbs, at left and center; and a white half dome-covered light about three-quarters right. Note that none are illuminated, and yet the characters are clearly lit. You can see the light reflecting on Pop’s bald head. 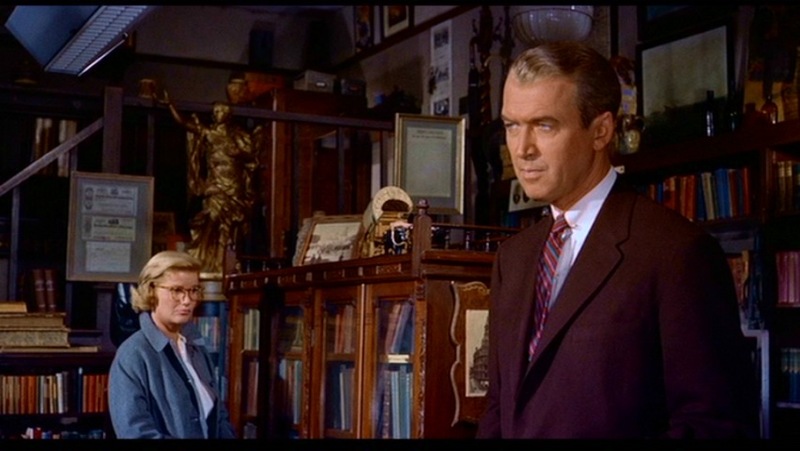 Obviously cinematographer Robert Burks lit the interior, but what is the intended source of the light, if the visible lights are off? I believe it is supposed to be sunlight, coming through the windows. 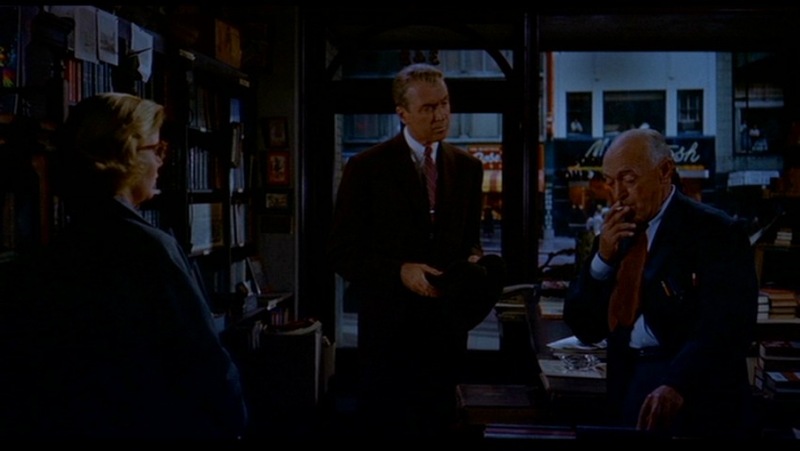 Hitchcock next cuts to a medium shot of Pop lighting his cigarette and beginning to talk about Carlotta Valdez. This shot lasts about 14 seconds. 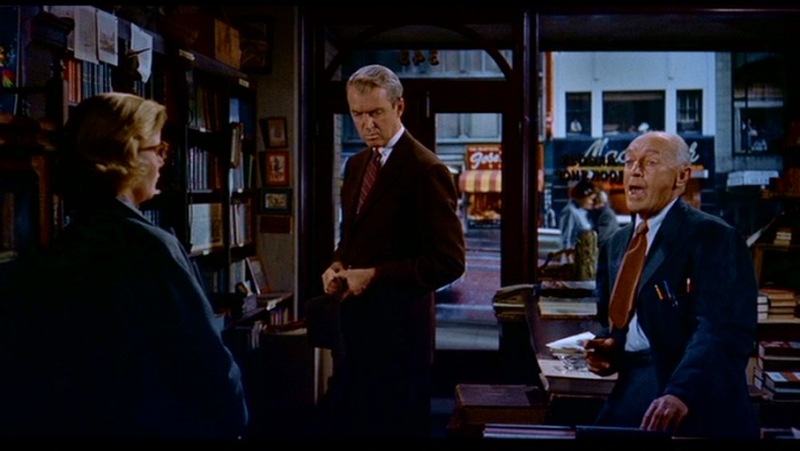 As Pop continues to talk off screen, Hitchcock cuts to a medium of Scotty listening, with Midge in the background, browsing book titles. This lasts around 12 seconds. 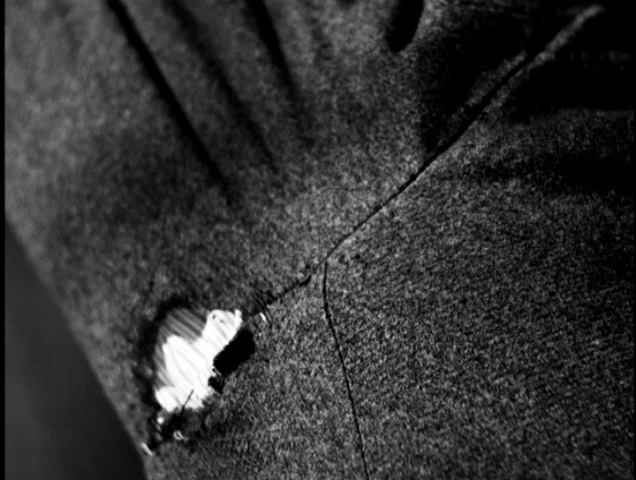 Hitchcock next cuts back to Pop, in the same medium close up. This shot lasts around 11 seconds. At this point in his narrative, Pop mentions a child. The cutting changes here. Hitchcock gives us a medium close up of Scotty which lasts about three seconds. He is listening intently. 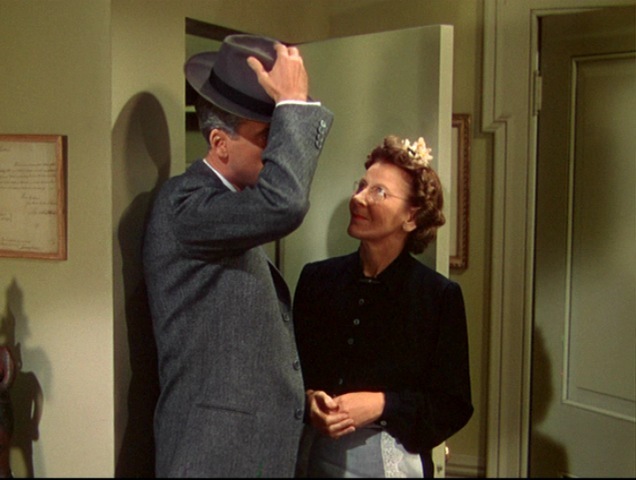 Hitchcock then cuts to Midge, giving her a medium close as she looks at Scotty. She doesn’t understand his interest in this story, but she is concerned. This shot lasts only a second. Then comes the most important, and interesting shot in the sequence. The camera switches sides. We are now on the opposite side, facing towards the door. 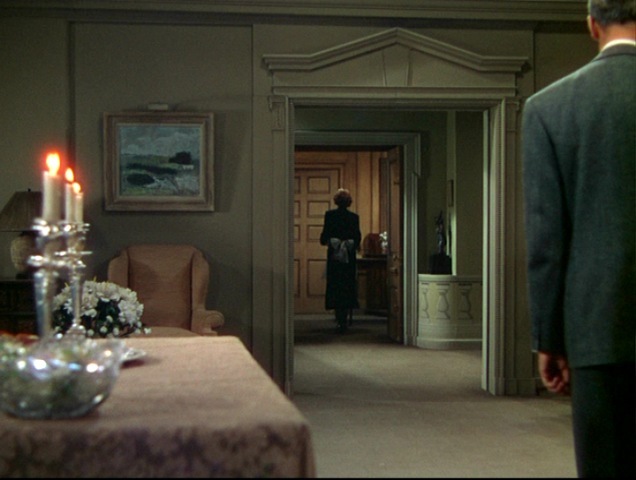 Why would Hitchcock choose to swing the camera around 180 degrees here? None of these are subjective shots. I believe it was because this is the point when he begins to bleed the light out of the scene, with the intention being that a dark cloud is passing in the sky. Why else show the exterior? He could have kept the camera precisely where it was before. This shot is going to last 80 seconds without a cut. Hitchcock begins it in a very interesting way. He starts on a medium 2 shot of Pop and Scotty. At this point Midge walks into the frame on the left. 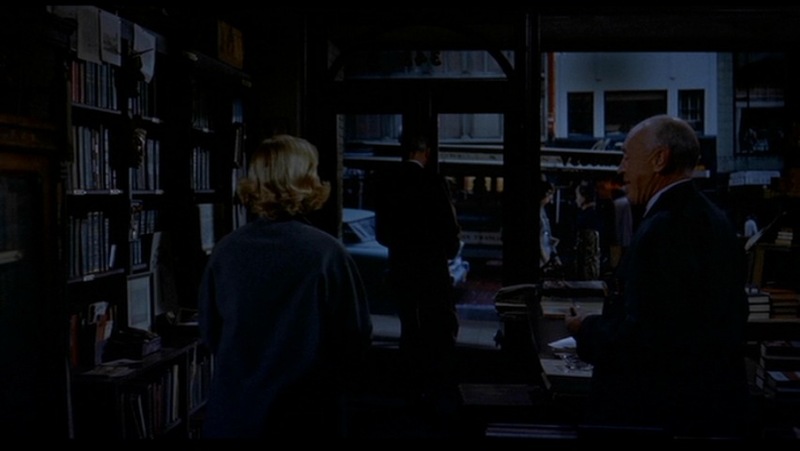 The camera actually pushes a bit, following her, until the characters are framed in the three shot which will finish the scene. I don’t believe this is a zoom; the camera is physically dollying forward behind her. Pop: By her own hand. There are many such stories. Pop interjects a wistful chuckle into this last statement, which says a lot about his character. He knows many sad stories beyond this one. Now let’s take another look at the lighting. 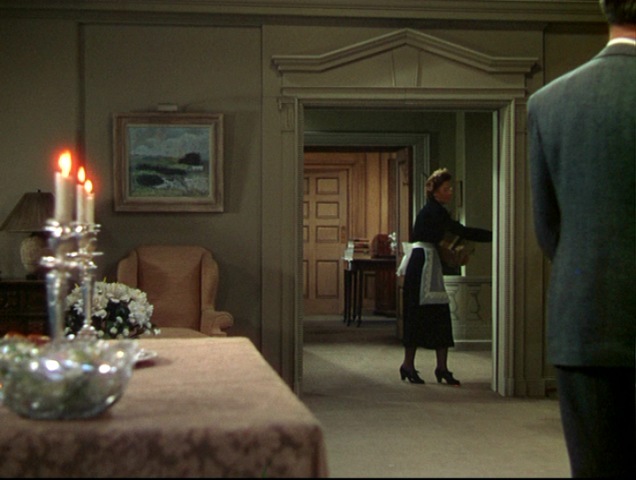 We can say definitively that the darkening of this scene is deliberate for a couple of reasons. 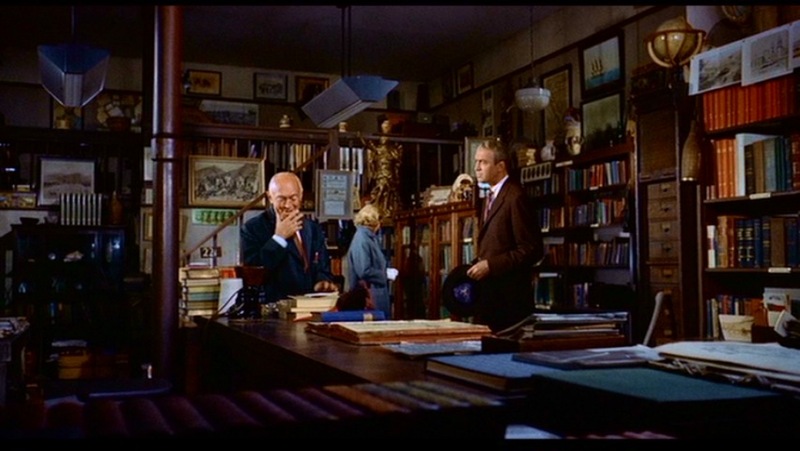 First of all, there is no other reason for Hitchcock to move the camera to the other side of the set, facing the windows. Even more importantly, we can watch the interior light diminish. Look again at the light in the first frame. You can see it reflecting on Pop’s bald head. 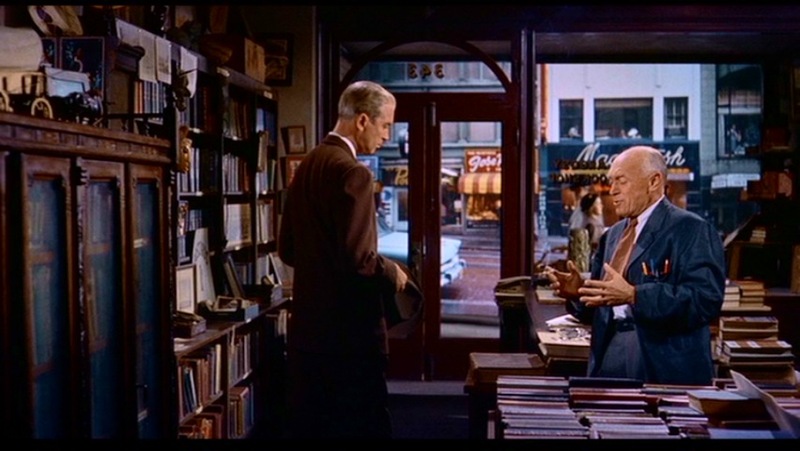 There is clearly a studio light source above the actors here, even though all visible lights in the book shop are off. As you look at this sequence of images getting progressively darker, don’t just focus on the characters in the interior. Look at the red and yellow striped awning across the street. (This was actually a transparency. 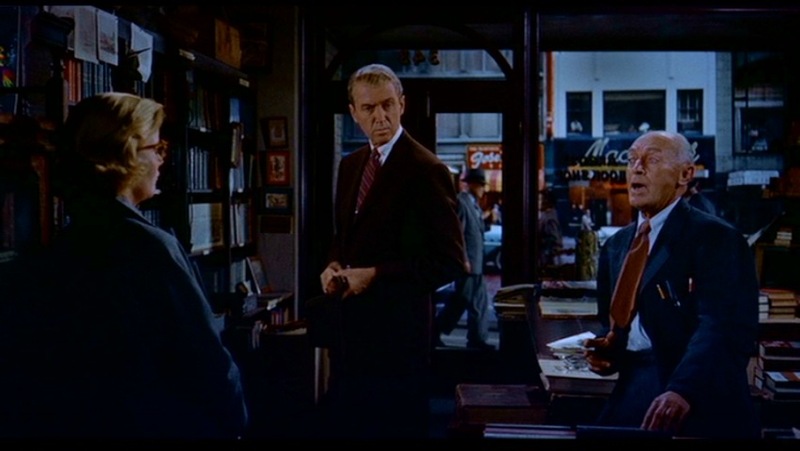 The bookshop interior was a set, with the filmed street scene projected outside). You can see the awning, along with everything else outside, getting darker as well. 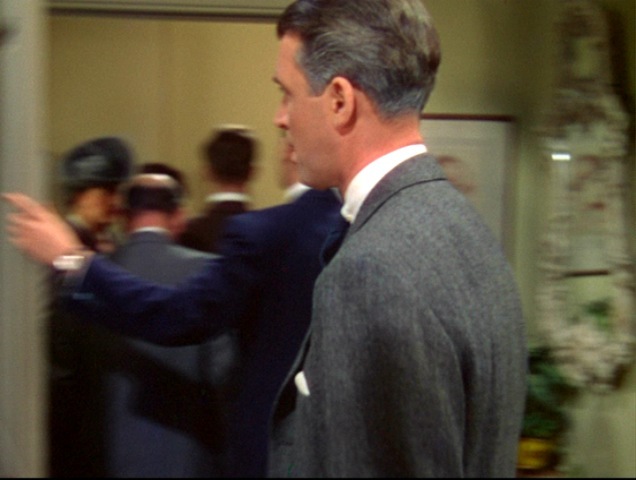 Hitchcock also plays with the sound in this scene. As Pop has been talking, there has been no sound other than his voice. 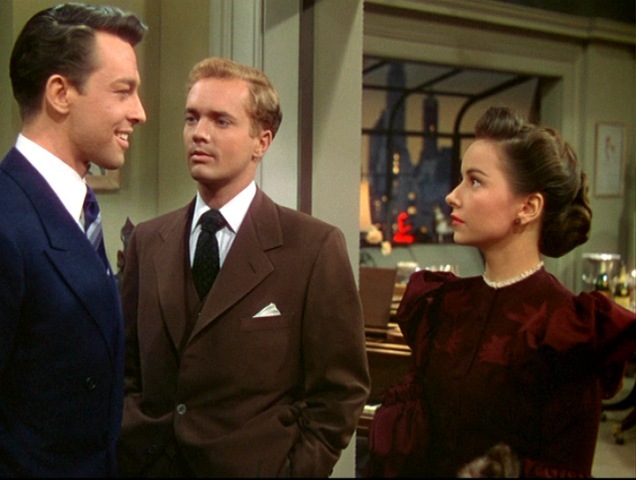 When he gets to his last line “There are many such stories” a streetcar passes outside, and the clang of the bell breaks the spell we have been put under by Pop’s story. What a masterful and subtle way to create atmosphere. 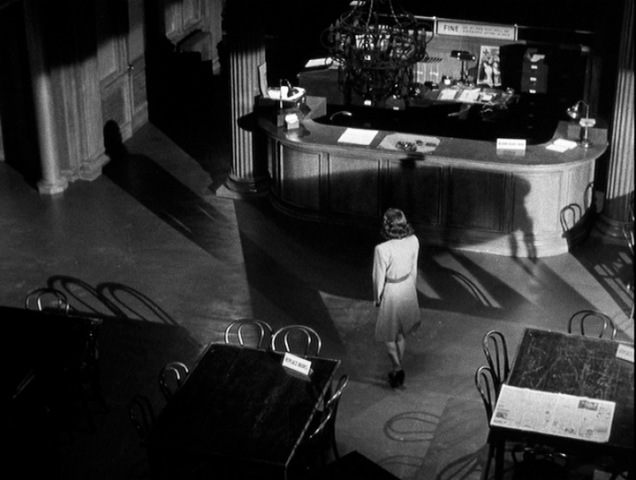 Hitchcock relied on the long take here, holding this shot for over 80 seconds. 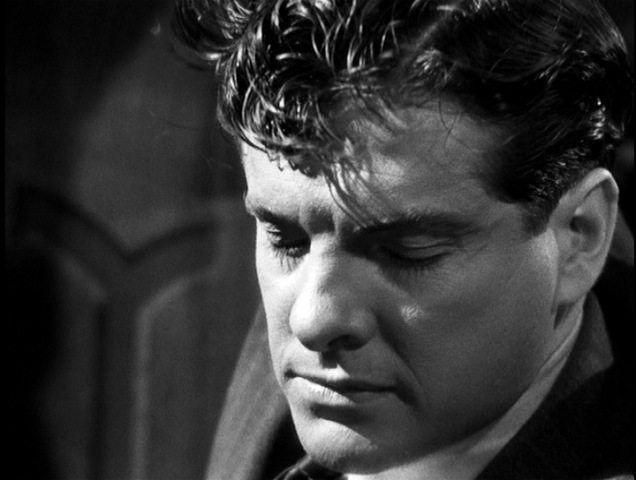 He then removed sound and light, which pulls Scotty (and more importantly the viewer) deeply into the story.) Imagine a cloud passing right as Pop is speaking of Carlotta’s sad end. This is something that Gavin Elster could never have planned for, but it certainly works in his favor. Scotty’s obsession is beginning to take hold at this point. 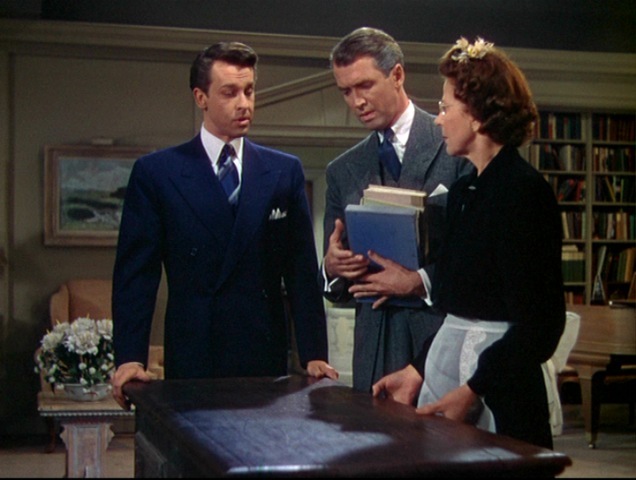 Now Hitchcock cuts to the exterior, and after Scotty and Midge begin to talk, the light comes up again. Many people think this is the result of Pop turning on the lights in the store. But if you look closely, you will see the visible lights are still off. The only one we can’t see is the lamp with the white globe cover. 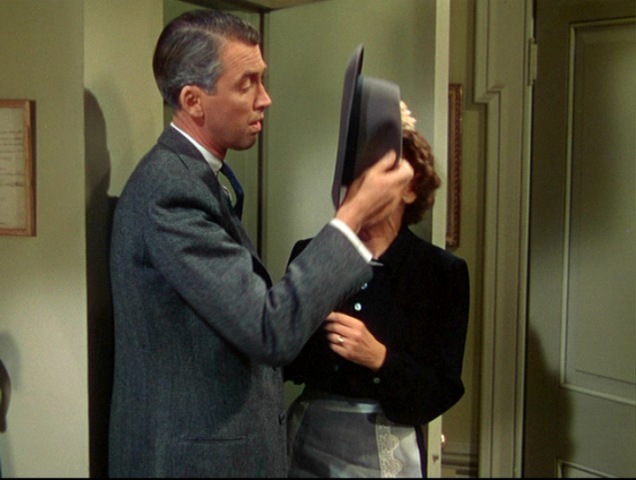 It is obscured by Scotty throughout this scene. Yet there is a glow of light on Pop’s head, indicating the studio lights are lit again. 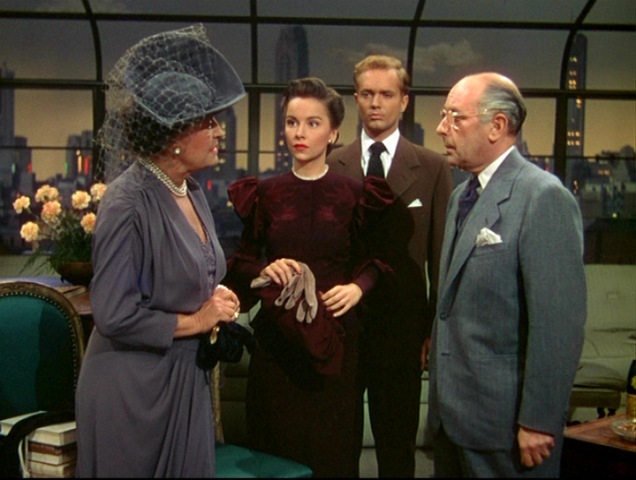 I believe Hitchcock’s intent here was to indicate a cloud had passed. This is reinforced by the light not becoming bright in an instant, but over the space of a couple seconds. And yet, the characters, both in profile, seem to be backlit. (Look at Midge’s hair. There is more light on the top than the side facing us). What is going on here? This scene ends as it began, on a dissolve. The next shot is a dusk shot of Scotty and Midge driving home, which could add support to the idea that they left at sunset, and the light is coming from inside the store. At the very least we can say the lighting decisions were deliberate, and very effective. Is it interior light or a passing cloud? Or perhaps something else? What do you think? 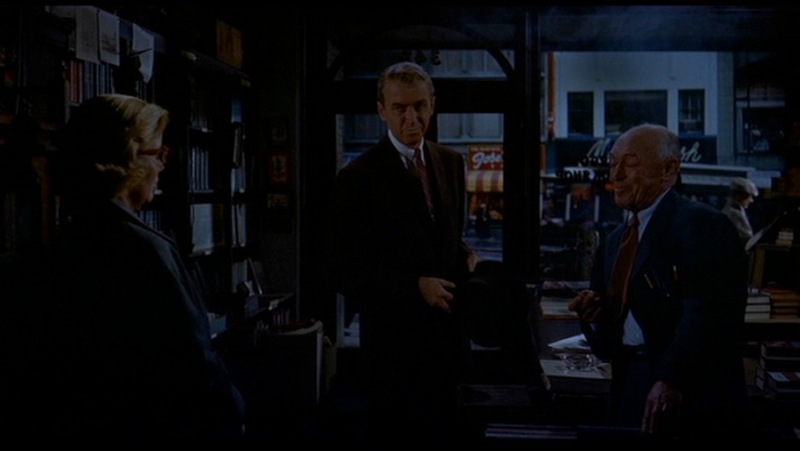 There are a lot of great camera moments in Shadow of a Doubt. Rather than an in-depth look at one scene, I decided to do a more brief overview of several scenes. Although there are several standard coverage shots in this film, they are interspersed with moments of ingenuity. Hitchcock never let the camera set-ups become boring. 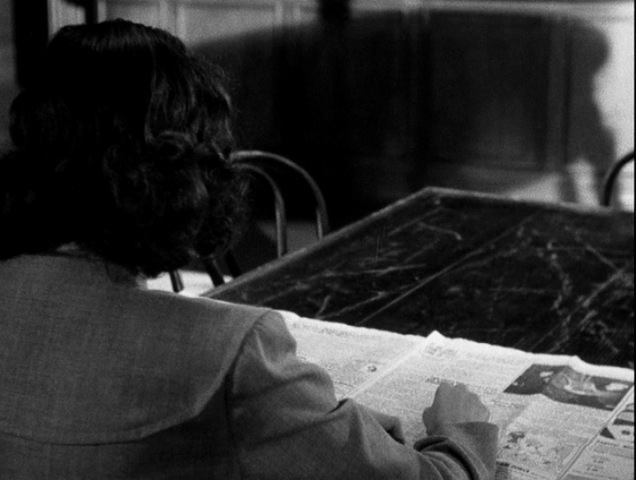 When young Charlie (Teresa Wright) reads the newspaper at the library she discovers an article that both implicates her uncle in a series of murders and offers explanation for the inscription on her ring. Hitchcock has the camera start tight in on the ring then pull back, and keep pulling back, until the camera is far above the library floor. This bold camera move heightens Charlie’s shock, and her feeling of being alone with her knowledge. This scene is incredibly well lit too. 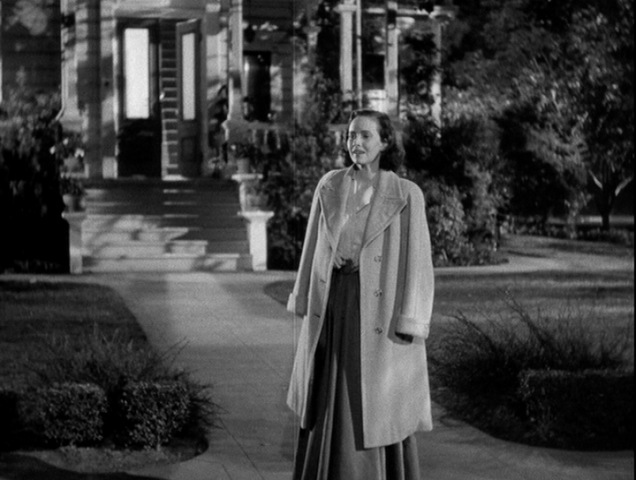 Joseph A Valentine was the cinematographer on this film, and two others for Hitchcock. 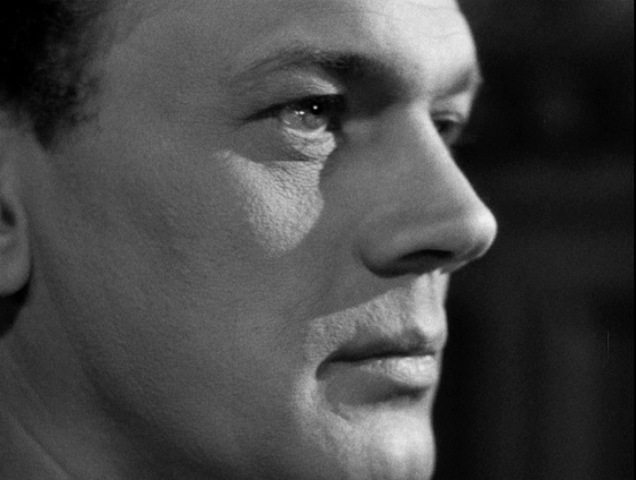 It wouldn’t be a Hitchcock movie if he didn’t use subjective point of view at least once. 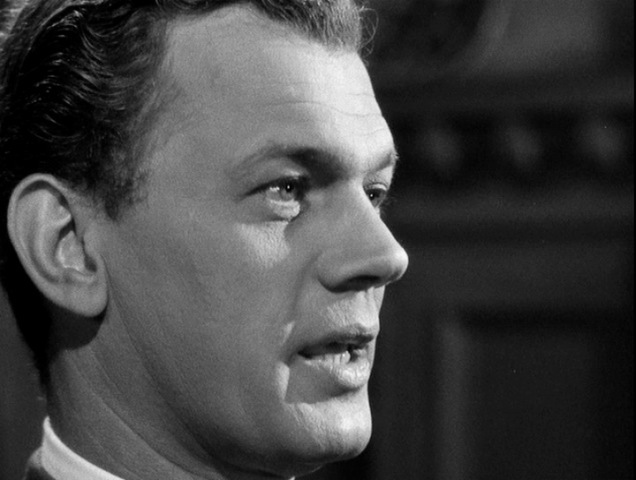 As the Newton family sit at the dinner table, Uncle Charlie (Joseph Cotten) begins to talk about widows. As he speaks he becomes more passionate, and his choice of words more shocking. We are watching Uncle Charlie in profile, from niece Charlie’s point of view on her uncle’s right. As he speaks of “horrible, faded, fat greedy women” the camera slowly zooms in, until his face fills the screen. Then young Charlie, off camera, mentions that these women are alive, are human beings. Uncle Charlie whips his head to the right. “Are they?” he asks Charlie, and us as well, looking directly into the camera. This is a moment of considerable tension, and the first time we really understand just what a monster Uncle Charlie could be. 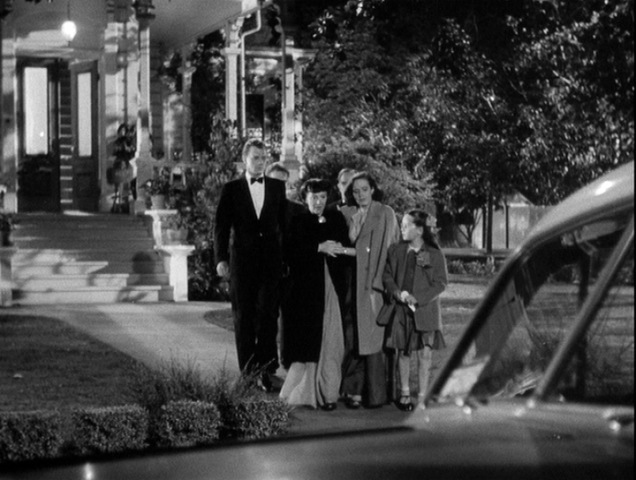 After Uncle Charlie’s plan to trap his niece in the garage fails, and she survives death by carbon monoxide, the family is gathered outside the house preparing to leave. Hitchcock does something very clever here. 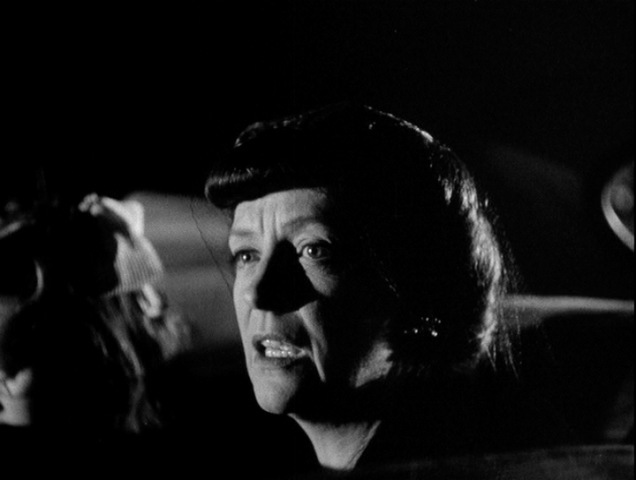 He wants to give Mrs. Newton a close-up as she contemplates her daughter’s close call, and he does so with staging rather than with a zoom. The family are standing together. As they climb in the taxi, Mrs. Newton gets in the back seat and slides over to the driver’s side. 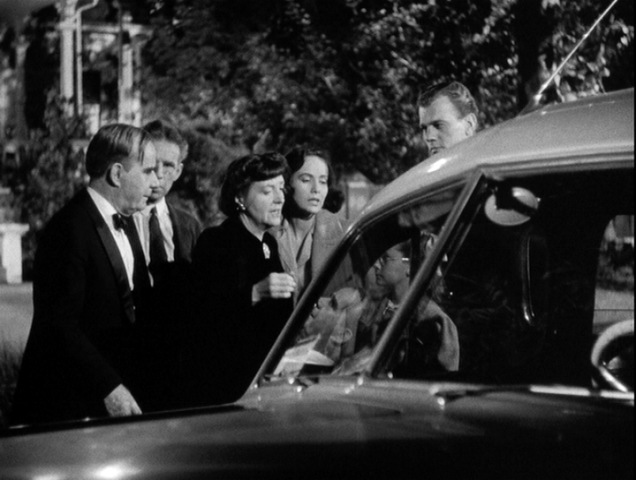 At the same time, with no cut, the camera dollies down the driver’s side of the car, stopping on Mrs. Newton’s window. She has just moved into a close-up! 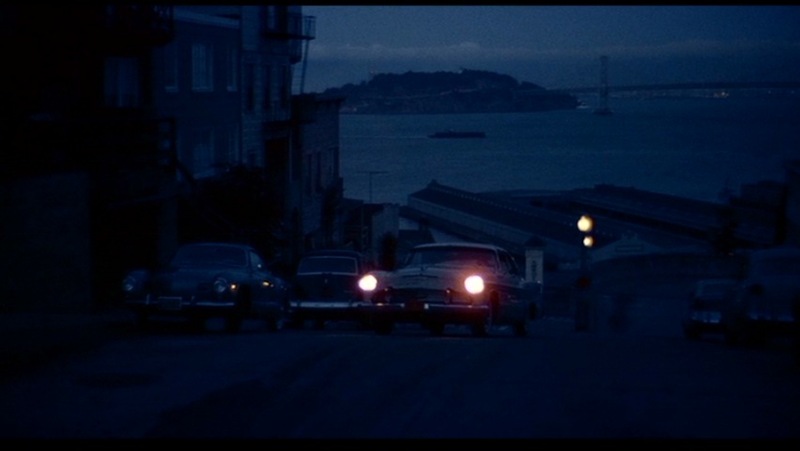 After she delivers her line of dialogue, the taxi pulls away, leaving young Charlie small and alone. 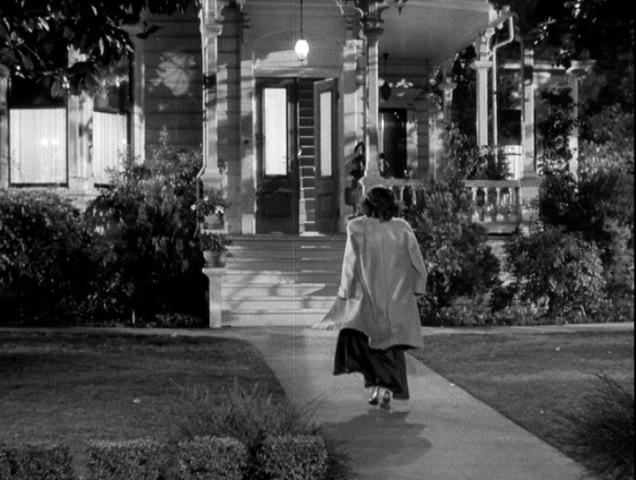 Still with no editorial cut, she turns and walks to the house. 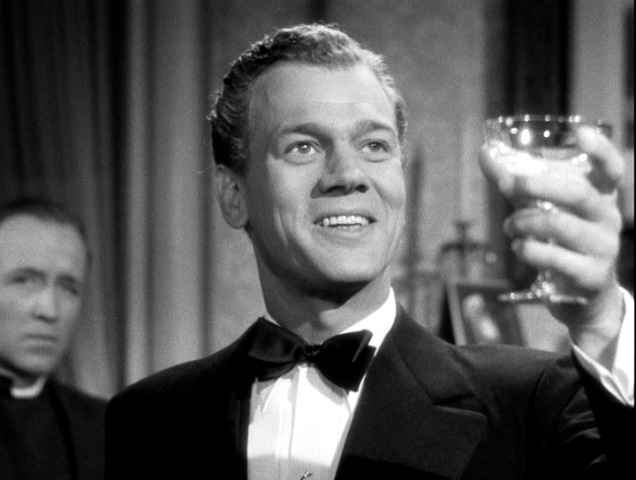 After the speech, Uncle Charlie is proposing a toast. He is happy, believing he has won. At first he smiles as his niece descends the stairs. 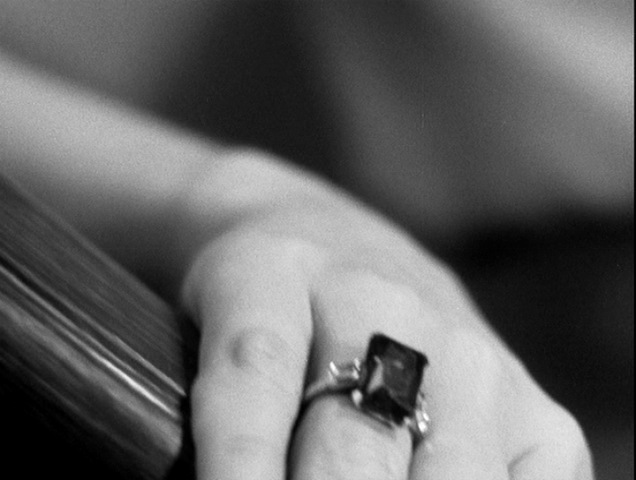 Then he realizes that she has stolen back the incriminating ring, which now rests on her finger. Checkmate. The smile drains from Uncle Charlie’s face. None of these camera moves draw attention to themselves on first viewing. They are all driven by the motivations of the characters, and contribute greatly to the emotional tension. 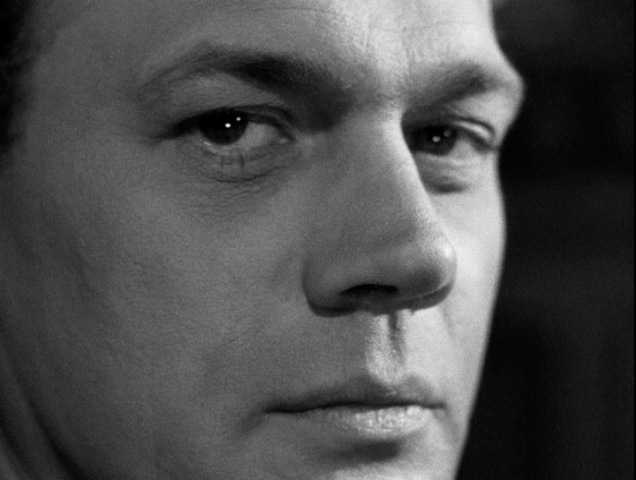 Hitchcock was ever the experimenter, looking for new ways to allow the camera to tell the story. Shadow of a Doubt is one of his greatest achievements. 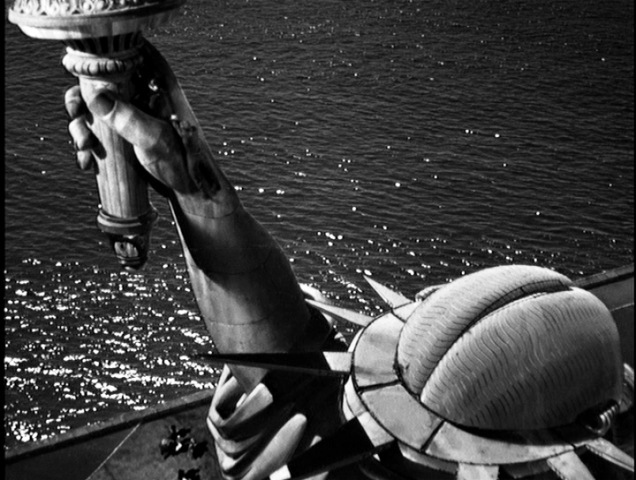 In retrospect, Alfred Hitchcock’s triumphant arrival in the United States in 1939 seems like a fait accompli, something destined by the movie gods many years before. Behind the scenes there was a considerable period of indecision by Hitchcock. He certainly knew he wanted to come to the States, but he had offers from multiple studios to consider. Ultimately he decided to sign with David O. Selznick, at the time the most powerful independent producer in Hollywood. For the next eight years, the lives and careers of these two men would be linked together, in a relationship that was was often tumultuous. 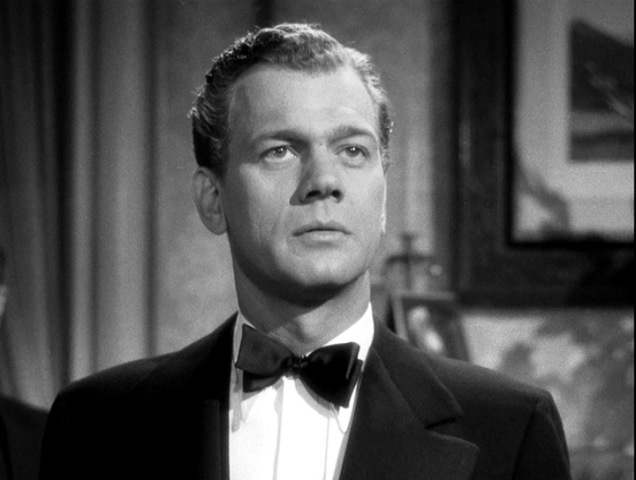 Author Leonard J. Leff chose this intersecting period in the lives of Hitchcock and Selznick as the subject for his book. Leff gives us some brief introductory material, setting the scene of precisely where these two men were in their careers at this time. Hitchcock was a big fish in a small pond, and he knew he would have to sacrifice a little creative control, at least at first, in coming to Hollywood. Selznick was riding high, a celebrated producer who was making what would become his greatest triumph, Gone With the Wind. The meat of this book is the four chapters that focus on the collaborative projects between the two men: Rebecca, Spellbound, Notorious and The Paradine Case. Leff has researched his subjects meticulously, and provides in-depth descriptions of how these films were made, from inception to release. 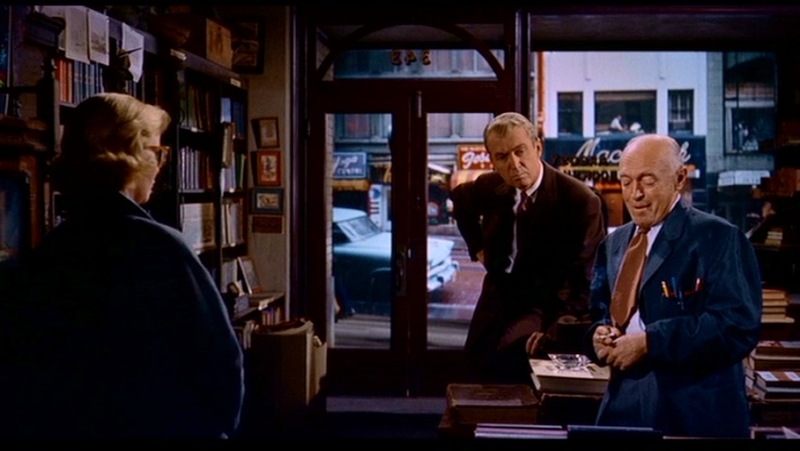 The reader gets a strong feel for the working relationship between Hitchcock and Selznick, the give and take that resulted in some high-quality films. 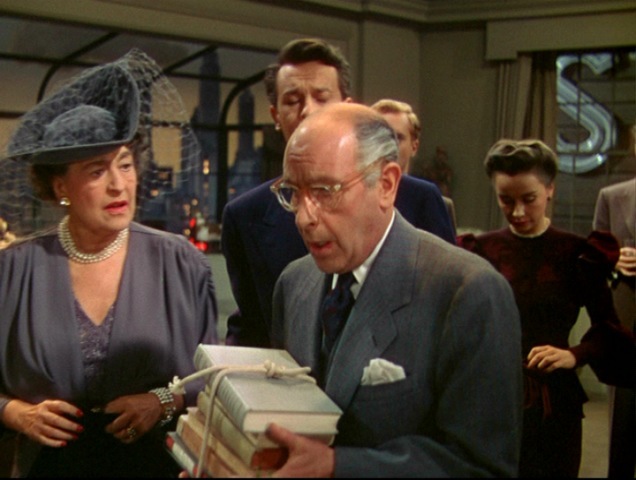 Leff also provides a chapter titled “Between Engagements” that covers all of the films Hitchcock made on loan-out for other studios while under contract to Selznick. Finally, the book closes with a summation of the immediate aftermath of the partnership. 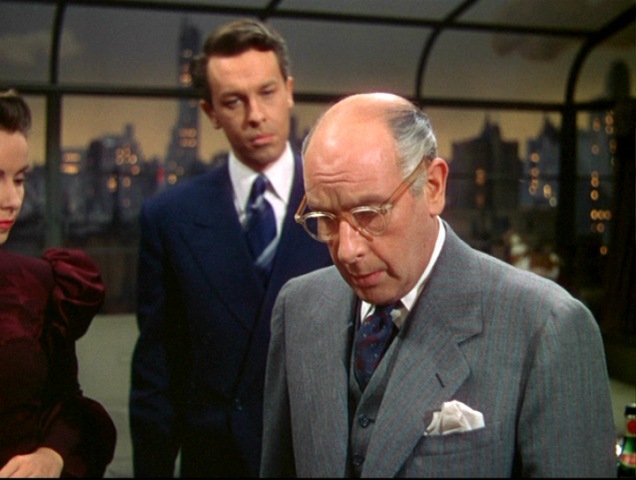 In most biographies of Alfred Hitchcock, Selznick is cast as an antagonist of sorts, the meddlesome mogul who won’t give Hitchcock the creative freedom he desires. 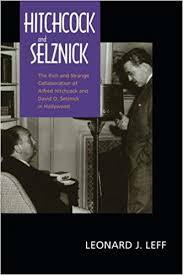 This book, providing an impartial view of both men, shows us a different side of Selznick. 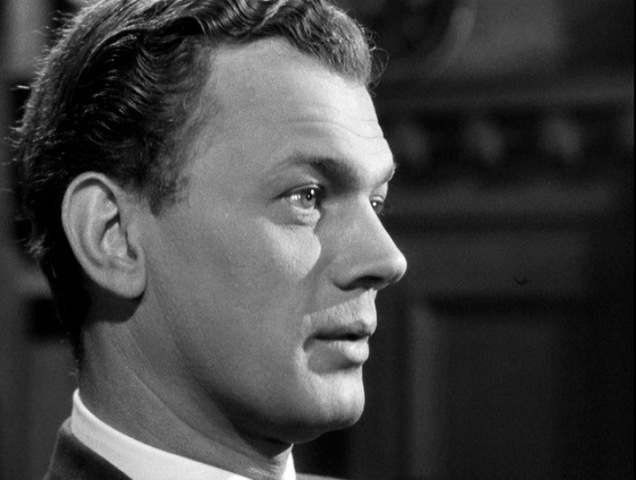 At his best, Selznick had wonderful ideas to contribute to a film’s story and structure. 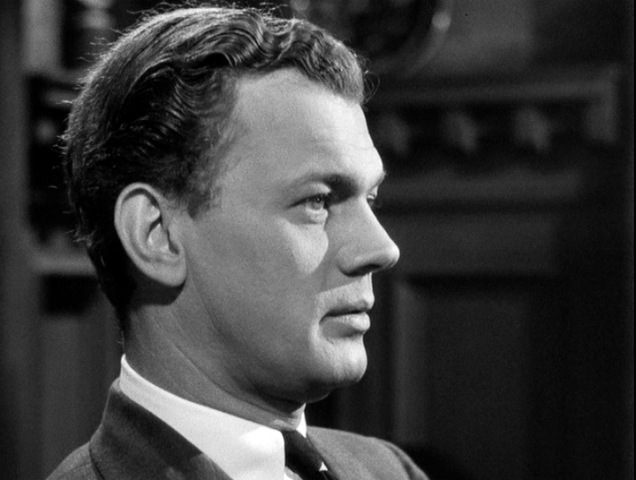 He was often indulgent of Hitchcock, even when Selznick felt that Hitch might be taking advantage of him. And yes, he could be overbearing and controlling, but there is no doubt that he cared passionately about the product being released by his studio. Leff’s narrative is smart, insightful and a pleasure to read, and this book comes highly recommended. 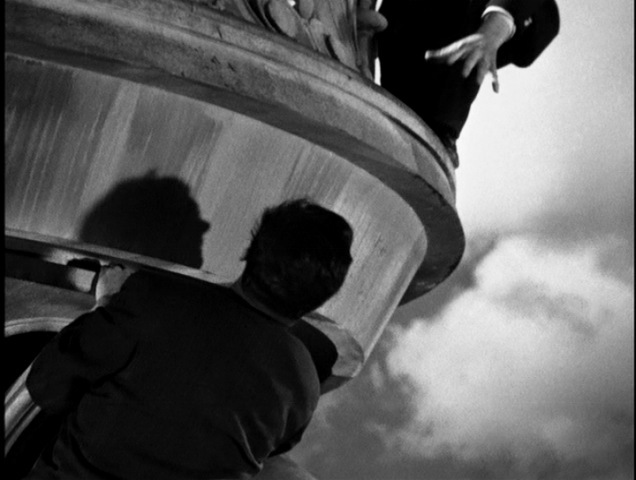 Alfred Hitchcock had a penchant for staging his film climaxes in high places, with a risk of falling posed to one or more of the central characters. 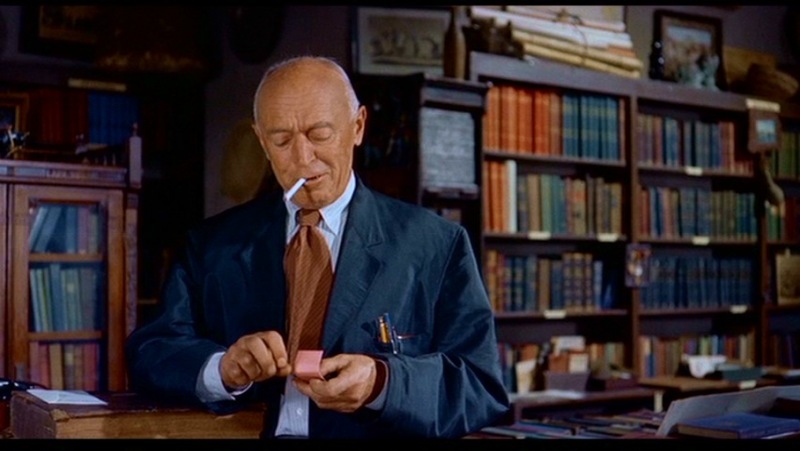 We see it in his early British films like The Man Who Knew Too Much and Jamaica Inn, as well as later classics like Vertigo and North By Northwest. 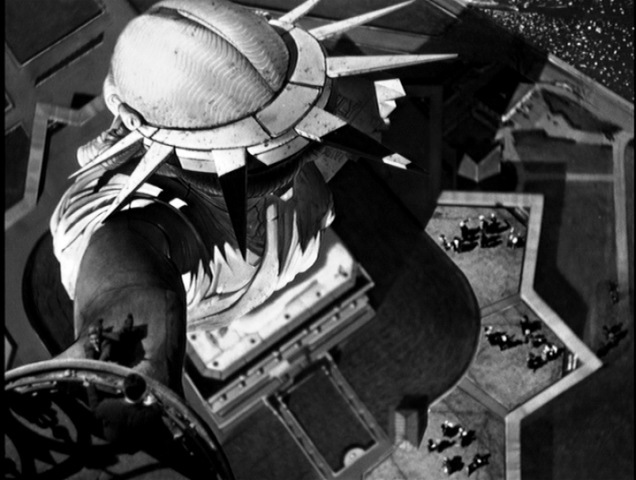 One of the most striking early examples is the climax of Sabotuer, which takes place atop the Statue of Liberty. 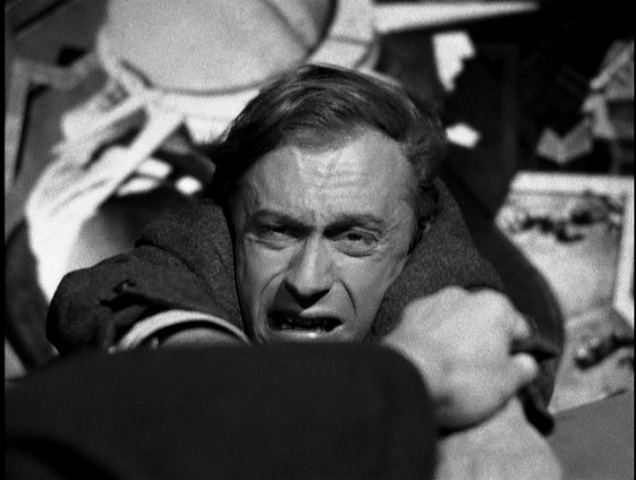 Our hero Barry Kane (played by Robert Cummings) has finally cornered saboteur Frank Fry (Norman Lloyd), a man he has tracked from coast to coast. 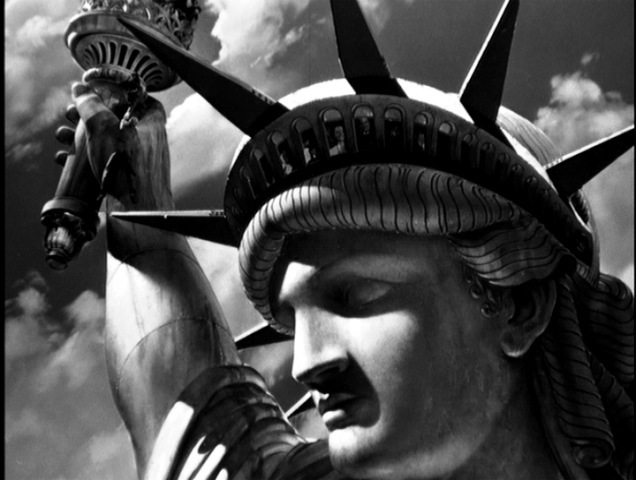 Kane follows Fry out onto the arm of Liberty’s torch, which is where the sequence begins. The sequence runs roughly 2 minutes and 38 seconds, with 47 editorial cuts. This averages out to approximately one cut per 3.4 seconds. One thing that makes this sequence unique is the amount of special effects work. 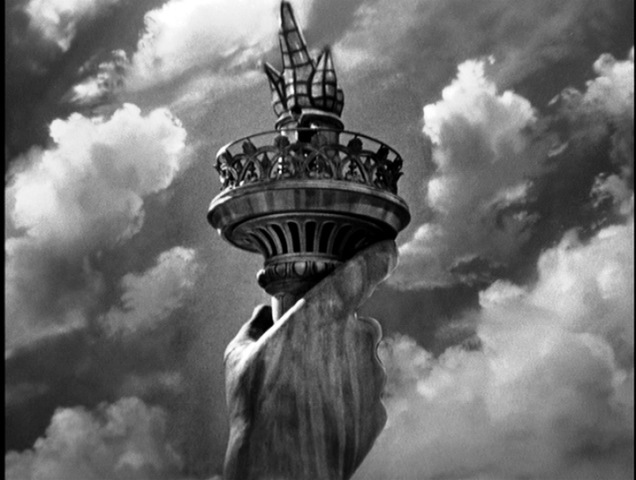 There is a life-size reproduction of the statue’s hand with the torch, a smaller mock-up of the statue, as well as matte painting effects and live action film. 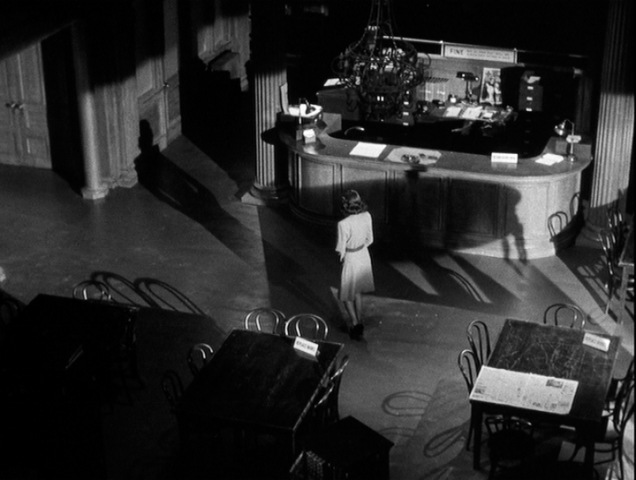 For a black and white sequence shot in 1942, it holds up admirably. 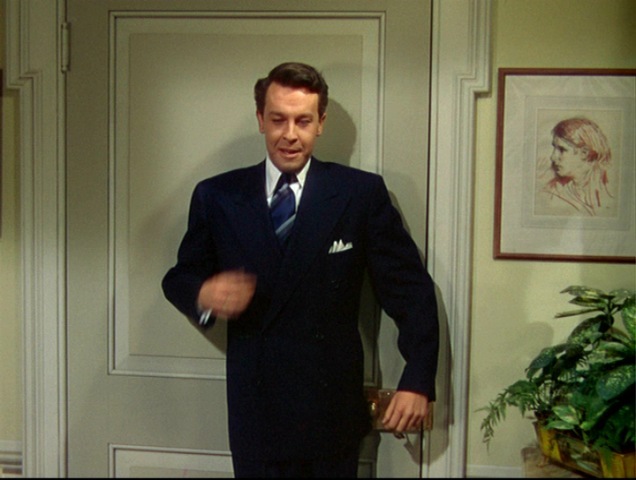 Hitchcock opens on Barry Kane in a medium shot, opening the door and walking out onto the torch walkway. He then pulls back to give the audience this establishing long shot. 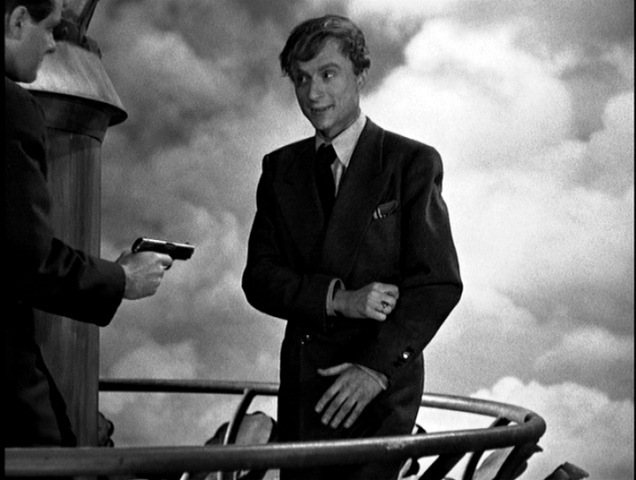 After about 3 seconds, Hitchcock cuts to a standard medium two-shot, with Barry Kane holding a gun on Fry. 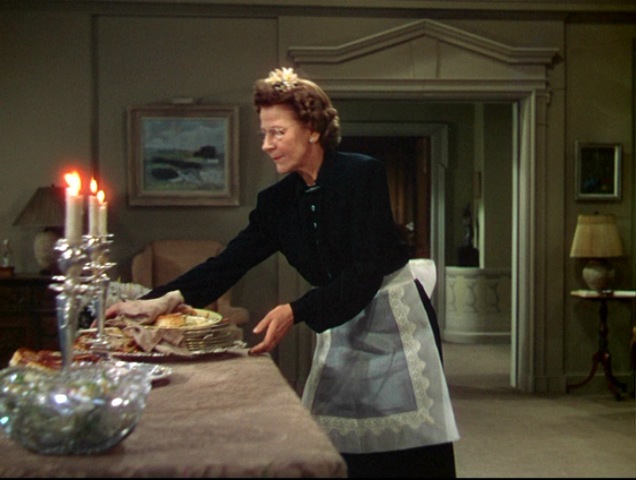 Hitchcock continues to hold this shot for about 9 seconds, as Kane backs Fry up to the railing, which Fry then flips over and falls. 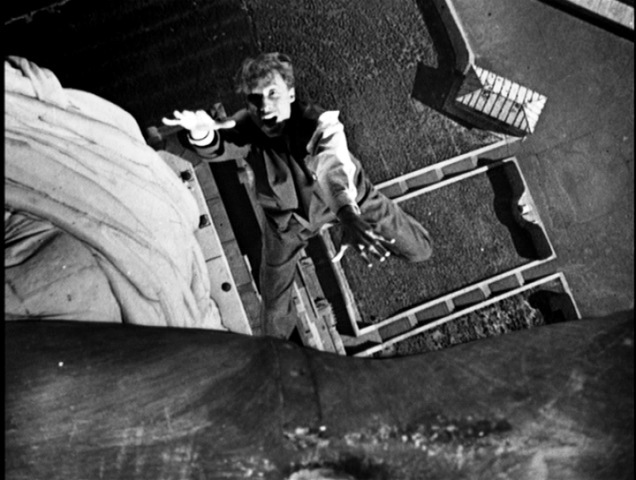 Hitchcock wanted Norman Lloyd to do his own stunt here, so it could be done without a cut. Of course when Lloyd flipped backwards over the railing, he was only a few feet from the floor, with a nice soft cushioned landing. An impressive stunt for the young actor, nonetheless. 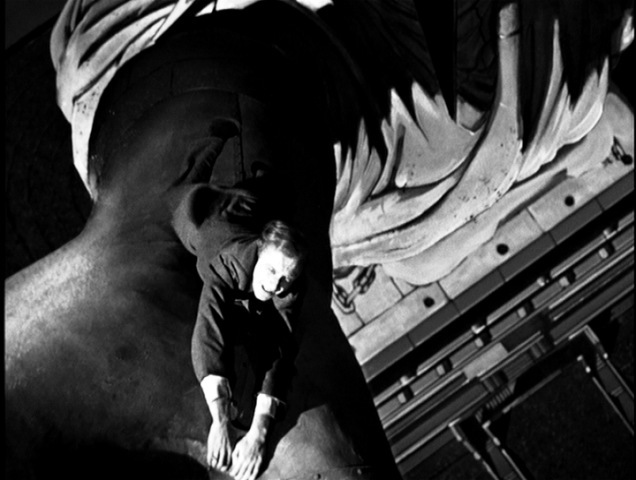 Hitchcock then cuts to a long shot as Fry (now played by a stuntman) falls, grabbing on between the thumb and index finger on Lady Liberty’s hand. 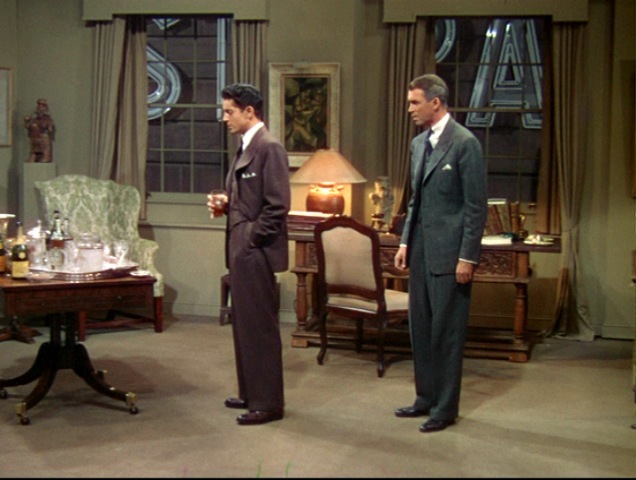 Hitch then cuts to a medium shot of Barry Kane looking down, followed by this shot from Kane’s POV, looking at Fry (Lloyd again) holding on precariously. 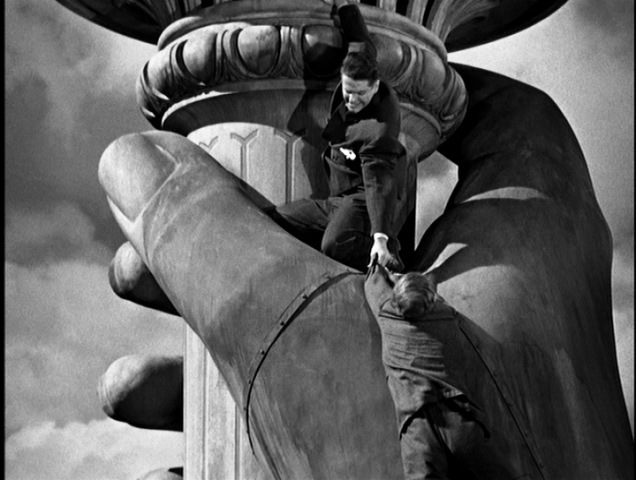 This scene was shot with the hand resting on its side, so the actor could rest against it without having to literally hang on. The lower portion and base of the statue are matted in here. Hitchcock next cuts back to Barry Kane, first in a medium shot, then a long in quick succession. Then we get this shot, which holds for about five seconds. This is what I call the God’s eye view shot. 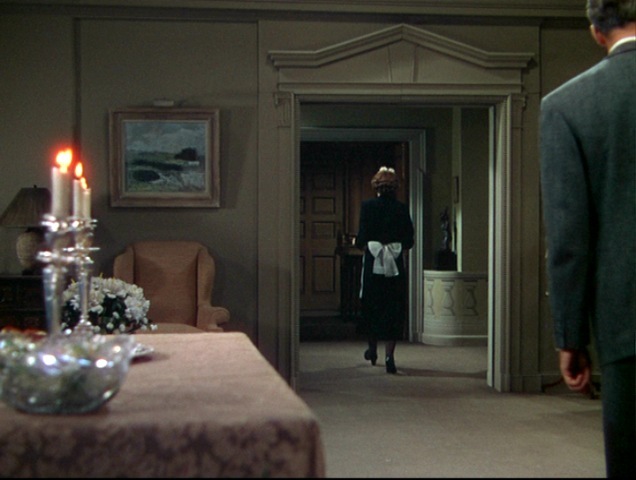 Hitchcock loved to sneak one of these shots in to most of his films. 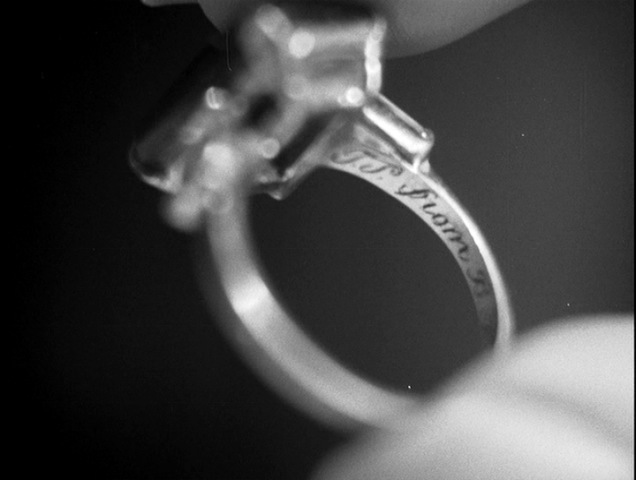 This type of shot can break camera logic (whose point of view are we supposed to be seeing?) but add to the viewer’s sense of helplessness and awe. The composite pieces of film here all blend very well together. 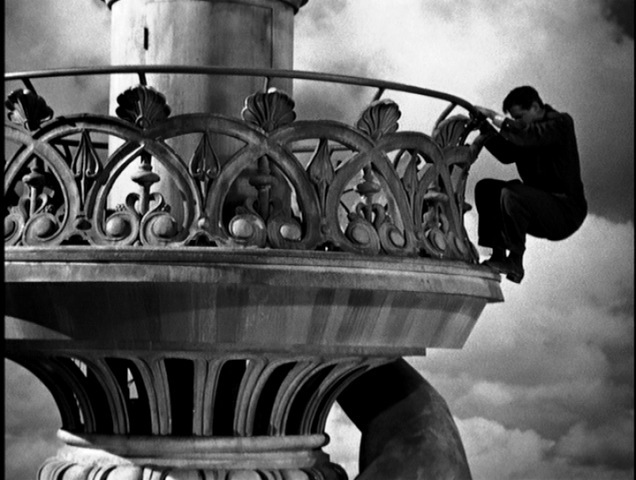 Hitchcock then cuts to a long shot of Barry Kane climbing over the railing in an attempt to get to Fry. As Kane lowers himself down, the pace of the cutting begins to pick up a bit. Hitchcock also does something interesting here. After showing us Fry from Kane’s point of view, he all of a sudden shifts to Fry’s point of view. We are looking up at Fry’s hands holding on. There are a few short shots here cutting between the two men, until Kane finally lowers himself closer to Fry. “I’ll get your sleeve” Kane says, and we see his hand stretching down. After shifting the point of view from Kane to Fry, Hitchcock is going to shift it back to Kane again. But first he is going to “reset” the POV by giving us a neutral two-shot, which lasts a brief two seconds but serves its purpose. Finally we are back to Kane’s POV for this shot, which lasts about 3 seconds. Kane has grabbed a hold of Fry’s sleeve. 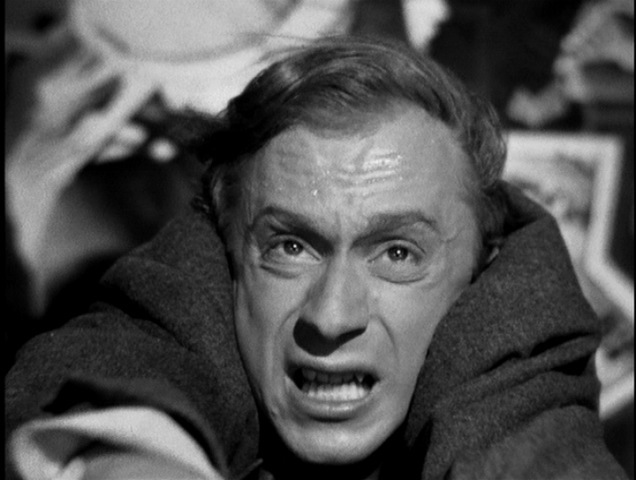 Hitchcock cuts back briefly to a medium of Kane, then back to Fry in close up. 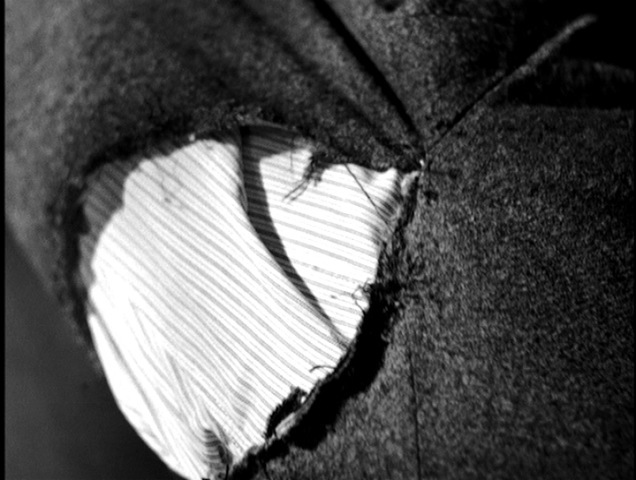 Now we get the first close up of the shoulder seam in Fry’s suit starting to pull apart. From here the cutting will become even more rapid. 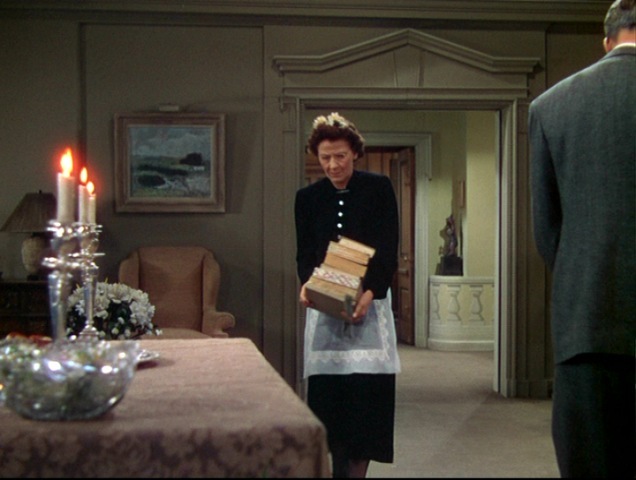 Hitchcock will cut away from Fry’s suit, then back to it in a series of shots. Every time he cuts away, he gives us a completely different view of the Statue, all of them emphasizing the height, as Fry’s situation becomes more precarious. Finally we go back to a POV shot, as Kane looks down at Fry. 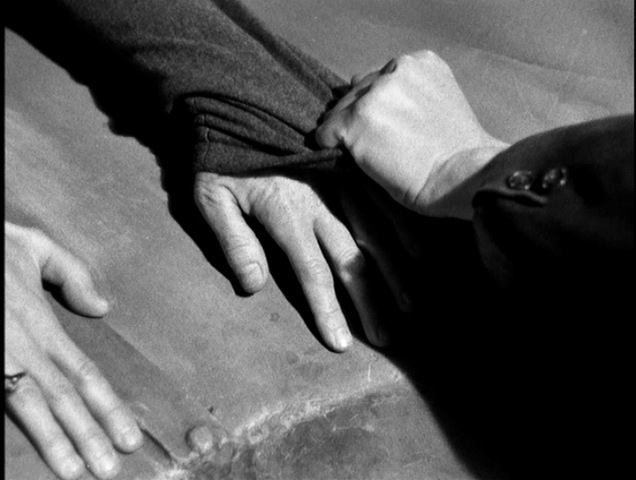 Hitchcock then cuts to a close-up of the hands,which allows us to see the sleeve as it finally tears completely. 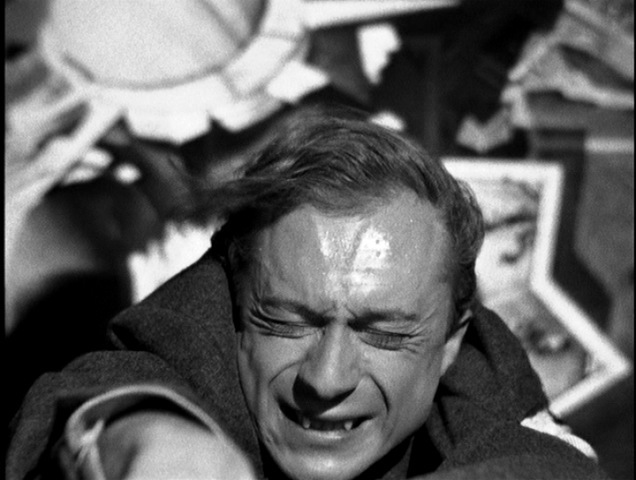 Next comes the incredibly dramatic fall, a shot of about 4 seconds, as Fry falls away from us crying “Kaaaaaaaane!” This shot was done with Norman Lloyd sitting on a custom saddle-like chair, on the floor of the studio sound stage, against a black screen (the precursor of today’s green screen). The camera pulled up from the floor to the ceiling rapidly, as Lloyd flailed his limbs, pantomiming falling. Then the shot was run in reverse with the background matted in. It holds up very well over 75 years later. Hitchcock then cuts to a close up of Barry Kane’s reaction to Fry’s plummet to his death. 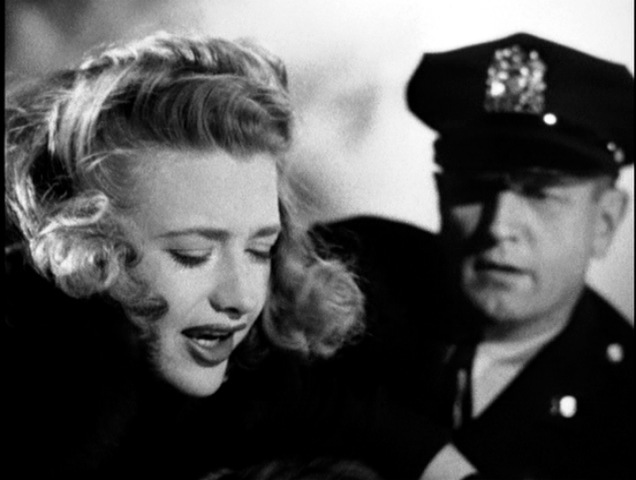 And finally, Barry Kane climbs back up to the torch where Pat Martin (Priscilla Lane) is waiting for him. 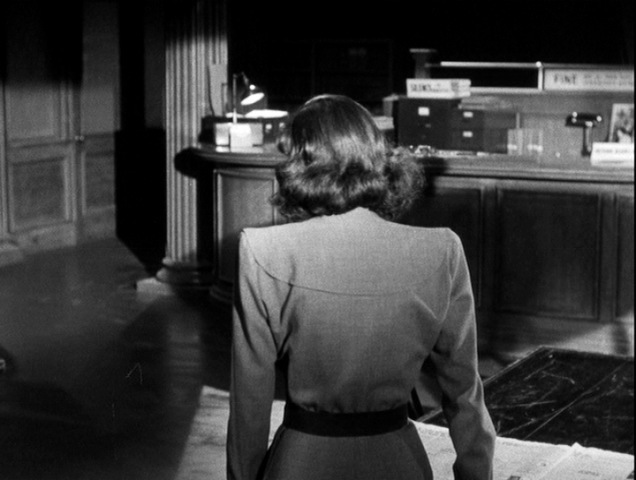 The film ends here, rather abruptly, almost before Kane can climb into her waiting arms. This sequence is relatively short, at just over two-and-a-half minutes, and it is thrilling from start to finish. When you break it down, you can see that each of the 47 distinct pieces of film serves a very specific purpose. 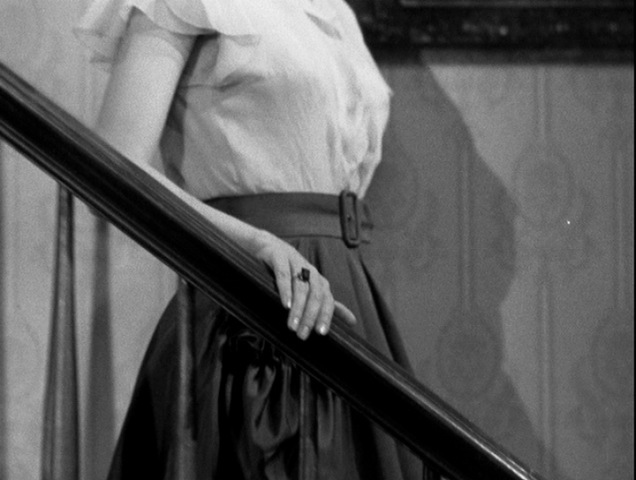 Hitchcock knew exactly how to represent visually what he wanted his viewers to experience emotionally, a skill at which he would only improve over time. 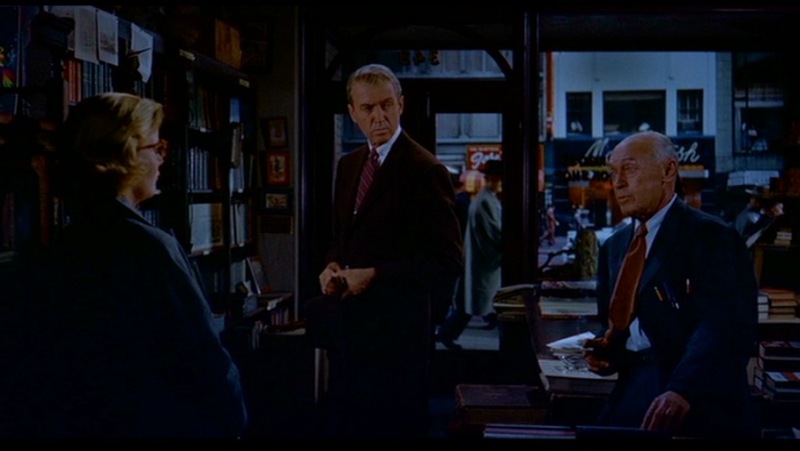 There is certainly no dearth of written material on the the life and films of Alfred Hitchcock. 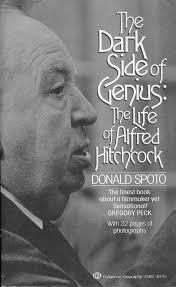 In the mid-1990’s, Professor Sidney Gottlieb had the bright idea of publishing a book by Alfred Hitchcock. Gottlieb gathered together a collection of magazine articles, interviews, and speeches given by Hitchcock over the course of his career. The end result is very rewarding, if occasionally uneven or repetitious. In his introduction Sidney Gottlieb addresses the question of authorship. These articles were all published under Hitchcock’s byline, but that does not mean he is responsible for writing every word. 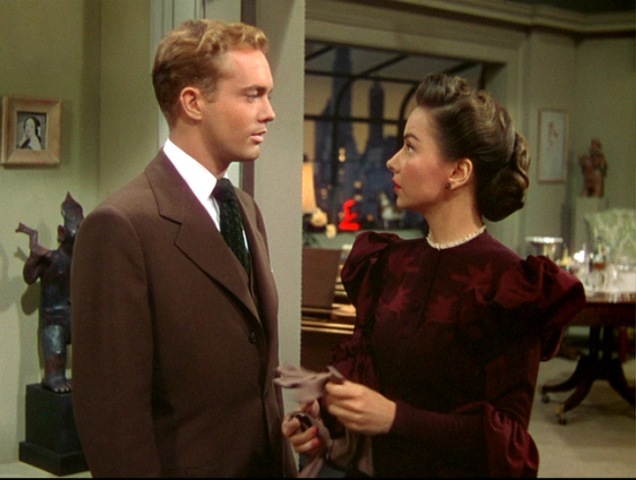 It was very common in the days of the studio system for pieces to be written for the director and submitted to the press in order to generate publicity. 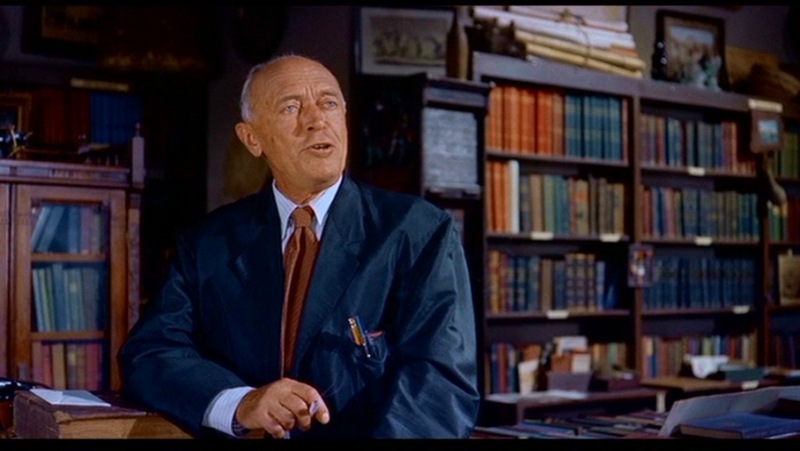 It is also a well-known fact that for several years in the late 50’s through mid-60’s James Allerdice wrote almost all of Hitchcock’s speeches for him. The end result is that some of these pieces might not have been penned by Alfred Hitchcock, although he would certainly have endorsed them. Sidney Gottlieb curates the pieces by subject, with sections on actors, film production, technique, etc. The pieces are chronological within each individual section, with short introductions to each section penned by Gottlieb. 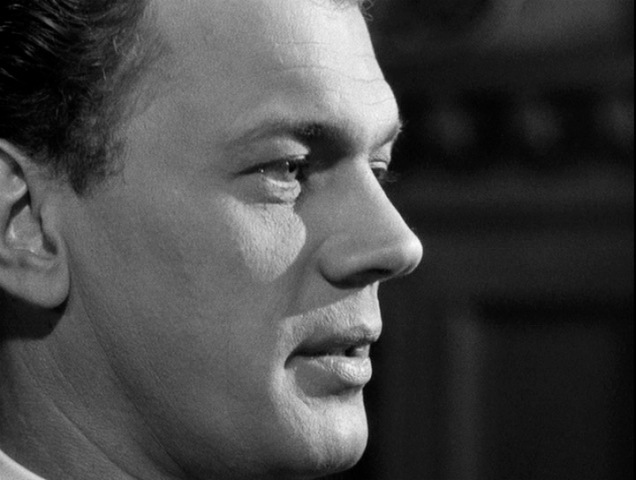 It is certainly possible to find a distinct Hitchcock voice running through most of these pieces. In a piece written while he was still a young director working in Britain in the 1930’s he talks about his desire to obtain major stars for his leading roles. He describes movie stars as “the jam around the pill” which will help the audience swallow his plot. One can also see how he tailors his voice to his audience. At one end of the spectrum are one-off pieces written for British film magazines, injected with his typical wry humor. 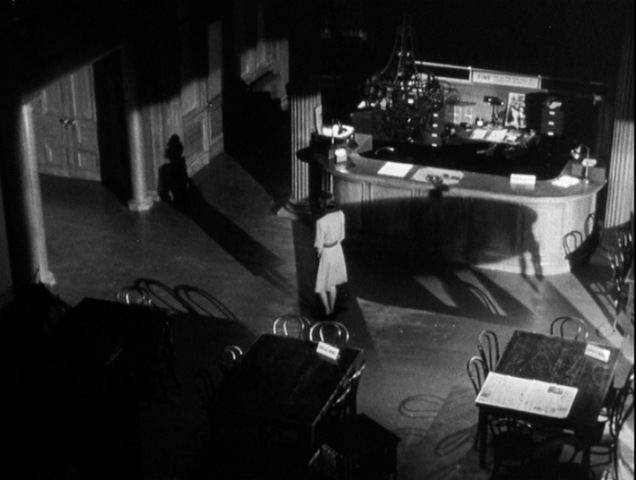 But we also get pieces like a 1966 interview for American Cinematographer magazine, in which Hitchcock delves into very specific technical detail about the lighting and design of Torn Curtain. 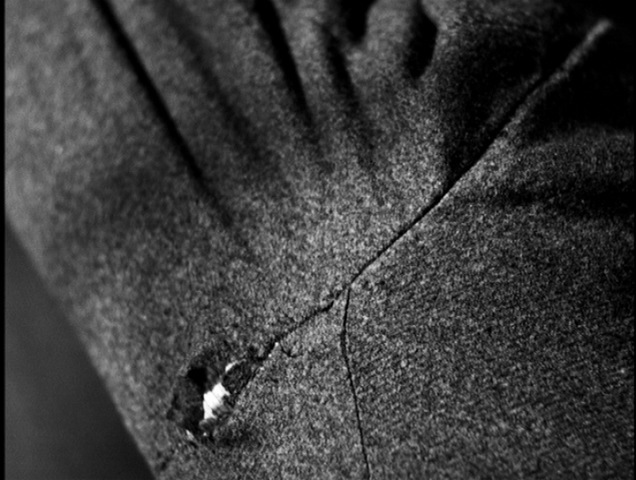 One minor drawback to this material is that it is front-loaded. There are far more pieces from the 1930’s than there are from the 50’s and 60’s. There is also some repetition, as he narrates various versions of the same stories or ideas. One recurring theme which he mentions in three different articles written in the 30’s is the desire for an all-powerful producer-director, who would have total control of a film. 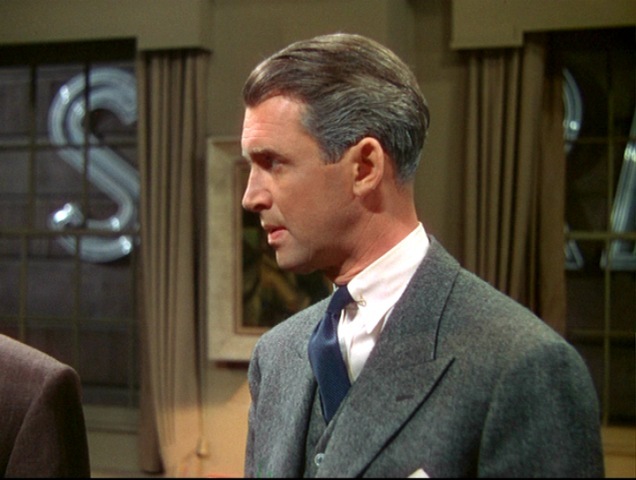 He actually cites David O. Selznick as an example of an ideal candidate for such a person. 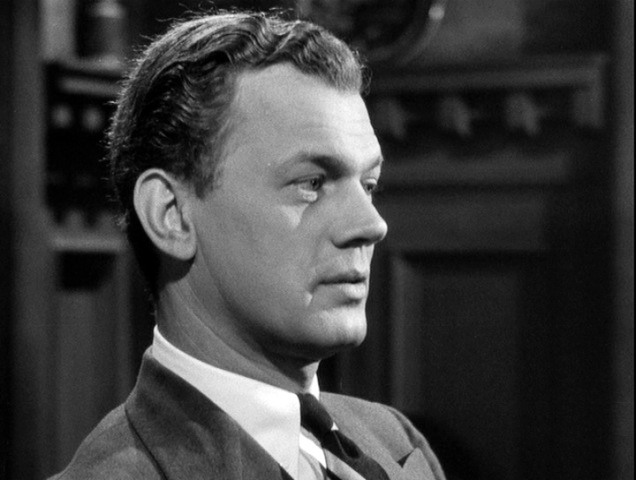 Rather ironic, considering that Selznick’s very control would be giving Hitchcock major headaches in a few short years. 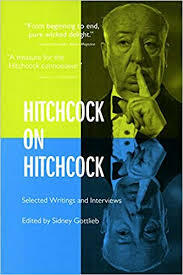 Sidney Gottlieb went to great length to find and assemble this collection, and while it may be a bit much for the casual fan, for any scholar of Hitchcock this is an essential work, and comes highly recommended.